SIN: Sin is an archery term meaning for how far you 'miss the mark'. Only through hitting the 'bullseye' can someone be without sin. Sin came into the world through one man, Adam, our first ancestor. Adam, being created without initial sin, chose to sin (Adam had no sin but still chose to rebel and sin). Therefore, Adam, passed along to us is His nature. As orange trees bear oranges as their fruit, so we bear fruit of sin in our lives out of our sin nature. You don't have to teach a kid to steal, complain, hit his neighbor...it happens naturally from that babies sin nature he's already cultivating. Galatians 5:17. Adam shows us that even without a sin nature men choose to sin. Genesis 3, Romans 5:12, 1 Corinthians 15:21. Only Jesus was man and never sinned and was never born with a sin nature through the virgin birth. 2 Corinthians 5:21. God came down off of his judgment seat after righteously giving final verdict of our condemnation...took off his judiciary robes-putting on the robes of the flesh (Jesus is God in human flesh)... and then sacrificed everything, dying, to pay our sins for us as a loving father or mother would do for their lawbreaking child. WORKS: There is none righteous not even one. (Romans 3:10). There is no 'good person'. (Romans 3:12) All our 'good works' are tainted as a dirty rag by our sinfulness (Isaiah 64:6). This is because, like a glass window, one pebble shatters all of the glass so one sin causes a violation (shatters) all of what is good and morally right. 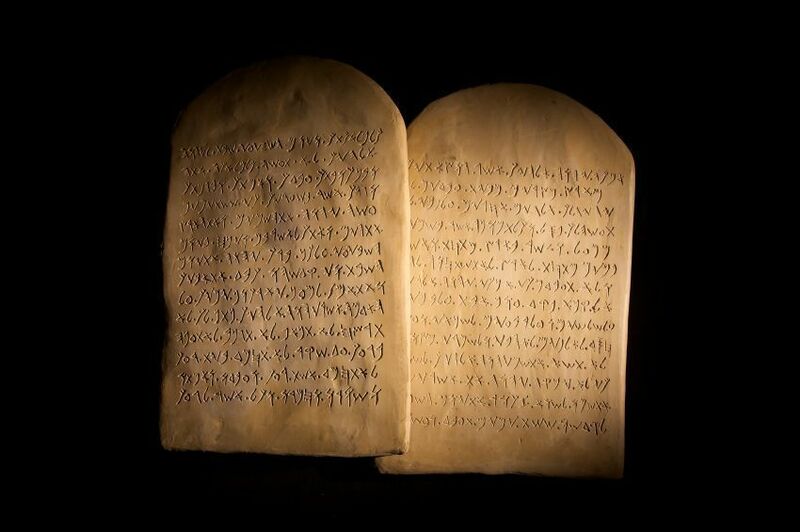 Our shattering God's law is shown in the 10 Commandments, Exodus 20. James 2:10. We become conscious of sin by the law (10 Commandments). Romans 3:20. The law is not sinful, it causes us to know what sin and true righteousness (being a good person) really is. Romans 7:7. God knows our thoughts and hearts and states even if we look with lust we commit adultery in our hearts (Matthew 5:27-28) or even hate our brother we commit murder (1 John 3:15) since both of these thoughts are the precursors to outwardly, physically breaking those two laws (Exodus 20). An inward sin leads to the outward sin. God even sees our sin of not doing what is right and good when we know we should do it! James 4:17. Romans 3:23 states it lightly with a 'all have sinned'. Romans 3:20, "Therefore by the deeds of the law there shall no flesh be justified in his sight: for by the law is the knowledge of sin." 1. No other God but God (put nothing before God). 2. Make no gods, idols, or graven images (God Himself should get all of your worship. Don't make a view on 'who God is like' that just suits your wants and lusts. Do not elevate anything or person, or goal, or pursuit, or activity to the worship place of God or before God- that is making that person, career, goal into an idol). 3. Do not take God's name in vain (this includes stating in your thoughts or speech 'Oh MY GOD', 'JESUS', etc. in the place of cussing or exclamations of excitement). It is wrong, called "blaspheme", and is counted against you as disrespect of who God is. 4. Remember the Sabbath day and keep it holy (the day God rested and just enjoyed creation- Saturday, Genesis 2:2). Have you always taken a full day off and not sinned? You are starting to get the point. 5. Honor your mother and father (with your mind and actions always without complaint). 6. Don't kill. Very specifically do not murder and not lead yourself to hatred wishing someone to be dead. 7. Don't commit adultery (staying pure to your covenant and not intentionally going out tempting others before and after marriage in your mind, heart, and in actions). No stealing other mens' wives in suggestive thoughts are deeds- staying loyal to the one you love. 8. Do not steal (that includes anythings small like a paperclip, toy when you were young, pen, or cookie from the cookie jar). 9. Don't lie, not even a supposed small 'white' lie is justifiable. Be tactfully truthful having a heart to build people up or just remain silent instead. 10. Do not Covet- do not want or desire what others have. Be patient and work hard earning your own stuff instead. This coincides with stealing and adultery in your heart. God gave us a conscious that coincides with these 10 laws. Romans 2:14-15. So even to the worse offender on the other side of the world (me being in Japan the exact opposite side of the world I grew up) I can address these issues of wrong with them and they would agree it's wrong before God, even though they love to violate these laws. BEING RELIGIOUS: Romans 1:25, "Who changed the truth of God into a lie, and worshipped and served the creature more than the Creator, who is blessed for ever. Amen." People are different from all creatures seeking something missing inside. The religious nature of people alone shows we long for our Creator. You don't see squirrels or monkeys doing religious ceremonies. God has set eternity, the things of Him, in our hearts. Ecclesiastes 3:11. We see the evidence and proof that He created everything through mathematics, logic, uniformity in nature, and the simple fact that morality exists. Intelligence begets intelligence scientifically (Science being: the study of repeatable laws and processes). Romans 1:20. This is why there are so many people trying to seek God in their own religious way. We are noticeably different from all the life on Earth. We have this desire to seek God. This is why people create so many religions to seek or become like Him, many ending in the worship of mere things that were created by God instead (such as how Evolutionist worship nature as 'God', and make up pretend ways to support their blind faith with no scientific beginning). But God demands for us to look at what the evidence shows to make our decisions and verdict. God demands we follow and seek truth. Proverbs 23:23. And with all of that effort all of mans morality (living as a "good person"), good works (living with a "good life"), religion, and philosophies cannot bridge us to God. They cannot overcome our cancerous, destructive, contaminating sins. Isaiah 64:6, "...we are all as an unclean thing, and all our righteousnesses are as filthy rags; and we all do fade as a leaf; and our iniquities, like the wind, have taken us away." Philippians 3:8, "Yea doubtless, and I count all things but loss for the excellency of the knowledge of Christ Jesus my Lord: for whom I have suffered the loss of all things, and do count them but dung..." Sin contaminates any "goodness" we strive to have with the muddy,bloody incriminating stains of our own individual sins. In John 14:6, "Jesus saith unto him, I am the way, the truth, and the life: no man cometh unto the Father, but by me." John 10:9, "I am the door: by me if any man enter in, he shall be saved, and shall go in and out, and find pasture." Mathew 7:13-14, "13 Enter ye in at the strait gate: for wide is the gate, and broad is the way, that leadeth to destruction, and many there be which go in thereat: 14 Because strait is he gate, and narrow is the way, which leadeth unto life, and few there be that find it." Matthew 7:21-23, "21 Not every one that saith unto me, Lord, Lord, shall enter into the kingdom of heaven; but he that doeth the will of my Father which is in heaven. 22 Many will say to me in that day, Lord, Lord, have we not prophesied in thy name? and in thy name have cast out devils? and in thy name done many wonderful works? 23 And then will I profess unto them, I never knew you: depart from me, ye that work iniquity." Matthew 13:41-12, "41 The Son of man shall send forth his angels, 42 and they shall gather out of his kingdom all things that offend, and them which do iniquity; And shall cast them into a furnace of fire: there shall be wailing and gnashing of teeth." Jesus loves you. God loves you. 2 Peter 2:5 states that God “…did not spare the ancient world when He brought the flood on its ungodly people, but protected Noah, a preacher of righteousness, and seven others”. The door of the Ark was left open for one full week before the storms that were generated came. 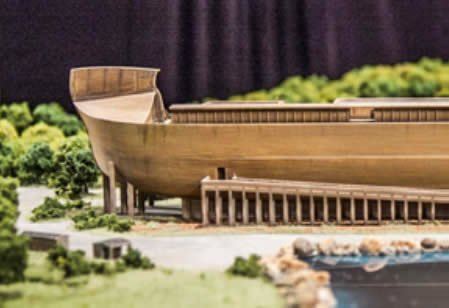 God wouldn’t have had Noah make the Ark as big as it was for no purpose. It was big enough to accommodate anyone who wanted to enter. But like Noah and the people of his day, overall it is up to us to choose to get onboard God’s plan of restoration for us. Admit you understand that you are a sinner before God. Accept Jesus death and His resurrection from the dead 3 days later proving who He was. He did this to provide the payment so we don’t have to be righteously judged for our atrocities and go to a level of Hell. Then live your life with true faith in want He states in His word to help guide us, the Bible, to shine as a light and example to the world…not out of ‘being religious’ but rather out of love and a changed heart. We will overcome our hardships one step at a time with His power to help and guide. Get our mind off ourselves to loving God therefore loving others since He is the God who loves- this includes those who we don’t like and even having concern for our enemies. 1 John 4:8. Matthew 5:44. So what Jesus did...Our hope and our salvation comes only from and through His sacrifice for us! 'Are You A Good Person?"